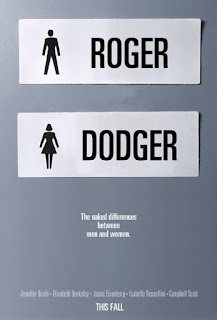 The Rockport Film Review: "Roger Dodger" Jesse Eisenberg's Film Debut! I saw this movie back in 2002 at the Austin Film Festival. It featured the first two films from the up and coming actor Jesse Eisenberg, who as we all know is up for Best Actor for his portrayal of Mark Zuckerberg in “The Social Network” at this years Academy Awards. Eisenberg had a supporting role is his other film “The Emperor’s Club” that starred Kevin Kline. Watching this film I was struck with a bit of déjà vu. Eisenberg’s character of Nick is a fast-talking, awkward computer geek. Go figure. Then when you start to look at all his other roles, it seems he has contracted “Michael Cera Syndrome”. He has seemed to play the exact same character in every film he is in. So I guess its no surprise that he was nominated for his work in “The Social Network” since he has been slowly perfecting the role for almost ten years. On the other hand, Campbell Scott gives a remarkable performance as Roger, an even faster talking, New York City copywriter for an advertising firm. 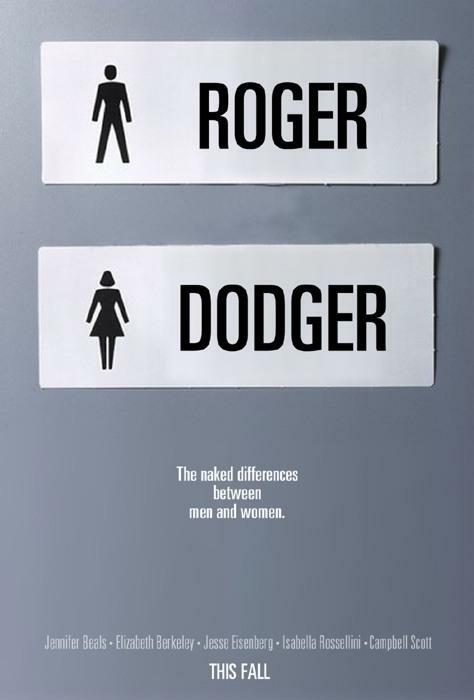 He is nicknamed Roger Dodger for his ability to talk his way out of anything. He is a single womanizer almost on the level of Charlie Sheen. One day he is visited at work by his nephew Nick. At Nicks request he gets a crash course on picking up women he won’t soon forget. This film also stars a trio of talented actresses. Isabella Rossellini plays Roger’s boss whom she’s having an affair with. Jennifer Beals and Elizabeth Berkley play the women they meet at a nightclub. Coming off the infamous “Showgirls” disaster, Berkley was actually in attendance and took questions about her role in this film. The audience was quite respectful. While Roger uses every trick up is sleeve to manipulate women and boost his ego. Nick is so truthful and pure-hearted he always seems to be a wet blanket on Rogers plans to get them some action. This also makes Roger come off as more of a creepy sleazeball than usual. The opening scene features a very interesting discussion on the ever declining need that women have for men. It’s a theme that plays out quite well during the film. While the last part of the movie goes to some pretty dark places and things start to get all too real. Can Roger change his ways? Will men serve a greater purpose in the future? This movie was directed by Dylan Kidd and won Best Feature at the very first Tribeca Film Festival. It was also the first movie to be shot in New York City after the September 11th attacks. The DVD is loaded with some pretty sweet special features so pick it up!